Rated 5 based on 7 reviews. Annapurna Base Camp Trek region in Nepal has been wildly recognized as a naturalist’s paradise. 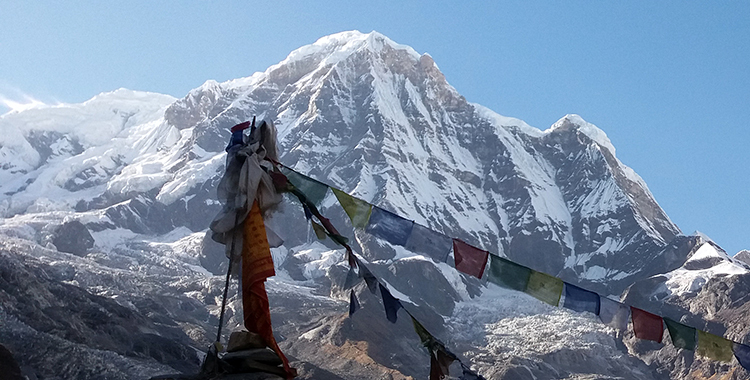 Annapurna base camp trekking 9 days /tour region is a very popular area that offers a dramatic trekking experience for trekkers from all over the world. 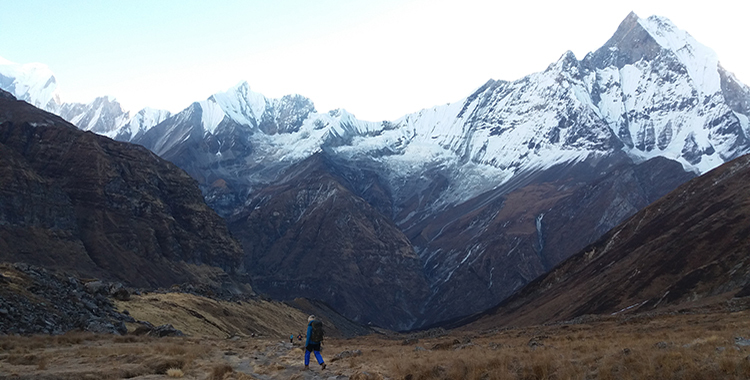 This is ABC Trekking 9 days but one can do 2 to 21 days trekking/tour in the Annapurna region. The upper sub-alpine steppe environment harbors some of the rarest animals including snow leopards and blue sheep. Other areas of Annapurna trekking region are home to bird species such as the multi-colored Impeyan, Kokal, blood pheasant amongst a multitude of other birds, butterflies, and insects. Many plant species native to Nepal are found in the forest of Annapurna trekking region. The Annapurna conservation area has 100 varieties of orchids and some of the richest temperate rhododendron forests in the world. For thousands of years, people of diverse ethnic backgrounds have scratched a livelihood out of Annapurna’s steep hillsides. The advent of tourism and the phenomenal rise in human population has triggered environmental deterioration. In 1968 Nepal’s King Mahendra Trust for Nature Conservation launched the Annapurna Conservation Area Project in order to protect this pristine gift from nature. Enjoy this 9-day trek through some of the most spectacular hills and mountains in the entire world. Upon your arrival in Kathmandu we will pick you up from Tribhuwan International Airport and transfer you to your hotel but our package only starts from the second day of your arrival. Our representative will come to your hotel in Kathmandu to pick up and start the trip to Pokhara. The trip starts at nearly about 6.30 am with a drive of around 6 to 7 hours through lush green forests, meandering road through the hills and gracefully flowing riverside. You will also come across lively markets and clusters of villages on the way. Buffet lunch will be taken in one of the road side restaurants. Today, after we reach Pokhara, we will see good scenery of the majestic city. You can go boating in Fewa Lake (if we have enough time, as boating facility gets closed early in the evening). The lake overlooks the Annapurna Himalayan Range and is a sight to behold. In the evening, we prepare for the trek with information from your guide. We drive to Phedi from Pokhara. From Phedi we begin our trek to Dhampus. Dhumpus is a pleasant Gurung village which offers splendid views of Himchuli, Annapurna South and Mt Fishtail (Machhapuchchre). Then our path moves up all the way through Pothana village with the scenic views of Mt. Annapurna South, Mt. Fishtail, Mt. Dhaulagiri. Then our track moves down to Bhise Kharka through thick rainforest then go on ascending up to Tolkha. From Tolkha we can observe wonderful views of the mountain range. Today, our trail goes down to Landrung through oak forest, terraced fields, pleasant village. Landrung is charming village of Gurung, Magar and Brahmins. Once more our path moves down to Jhinudanda where we get a chance to relax at hot spring of Modi River. After the refreshing bath, our trail ascends up to Chhomrong with huge views of Annapurna South, Himchuli & Fishtail. From Chhomrung, we come across the bridge then go up to Sinuwa Danda. The trail comes transversely to thick rhododendron forest taking to Khuldighar. After that, we move down a lengthy and vertical stone steps into bamboo and rhododendron jungles through which we arrive at Doban. A gradual ascent following the banks of the river Madi brings us through a sacred valley. No meat or fish is allowed in this area to comply with Buddhist and Hindu beliefs. We continue to pass bamboo trees, and if we are lucky, we may see Lophophorus bird, the national bird of Nepal. We continue the ascent to Machhapuchhre Base Camp and our teahouse for the night. After we leave Machhapuchhre Base Camp, we leave all vegetation and trees behind, we enter a desert wilderness known as the Annapurna Sanctuary, an area of pristine natural beauty, surrounded by the glorious Annapurna Himalayas and glistening Annapurna glacier. We give you an early wake up call today so you can enjoy the wondrous sunrise views of the Annapurna Sanctuary. We then we begin our descent, following the Modi Khola River to Bamboo hut. We start the day with an uphill trek to Sinewa and then descend to meet the Chomrong Khola River. Another ascent to Chomrong before the final descent of the day to Jhinu. Here, you can visit the natural hot springs to bathe in the relaxing warm waters. Our last day of trekking, an easy descent to the banks of the Modi Khola River and on to Nayapul. We then take a private car for a one and a half hour drive back to Pokhara send you to your hotel. After getting you transferred to your hotel the trip ends. 9 day Annapurna Base Camp Trek The ABC trek is a great easy-medium level trek even for less experienced travellers. It boasts a great variety of beautiful scenery throughout the days to keep you interested, from green forest, rocky riverside, waterfalls, bamboo forest and, of course, snowy mountains! I was lucky enough to get an amazing guide, Binod Adhikari, and a very lively porter, Nikesh Chhetri! They were both extremely accomodating, friendly and fun, just adding to the trip, while also keeping an eye out for us. While going for a quick photo I dropped my phone (silly) a few meters off a steep snowy ledge. Nikesh actually tied himself to a rope and went down to get it back for me. Astounding commitment! Their companionship was one of the best parts of the whole thing for me. I recomend looking them up if you can. The package includes one item for breakfast, one for lunch and one for dinner, as well as one tea or coffee per day. You’ll stay in good lodges/tea houses every night, no tent required. And we didnt even need sleeping bags. It goes as high as 4130m, but very gradually, so even though some trekkers get altittude sickness, I didnt feel anything except acomplishment. All in all it was an amazing climb that yielded some great moments and hopefully some lasting friendships. I highly recomend the ABC trek, Nepal Lion Tours, Binod and Nikesh. A fantastic experience trekking in one of the most beautiful places in the world. Annapurna Base Camp has the most incredible views and landscapes, with many comfortable lodges to stay in along the way. Everything was handled well and my guide helped me in every way. Very helpful and made it a very enjoyable trip! I had a fantastic trek with Nepal Lion Tours. I did the Annapurna Trek. My guide and porter we’re so cool, patient, and helpful from the start to the end of the trek. The guide and porter were fun to hike with and they made sure all my needs were taken care of along the way. The places they took me were beautiful and the trek was challenging but not at a pace to be uncomfortable. I think Annapurna Trek is a good trek for someone who has some experience trekking or has none and wants to try it out. the company took care of everything necessary to pull of a great trek. It was stress free and everything is taken care of so you can just enjoy hiking the Nepali countryside. Shiva set up everything wonderfully from the home office and took care of any matters which arose. I had an issue with a bus ticket which the bus company had made a mistake. Shiva took care of the problem in the off hours. This is a great company with great people that will look after you while trekking in Nepal. I highly recommend them, and I look forward to trekking with them in Langtang and later Everest Base Camp. The trip was beautiful and we were able to adjust our plan and do the whole trip in 8 days instead of 9 days.The company was helpful when we did want to make some adjustments to our trip. Our guide was very helpful and ensured that we had a room, show fixing glue or whatever we needed. 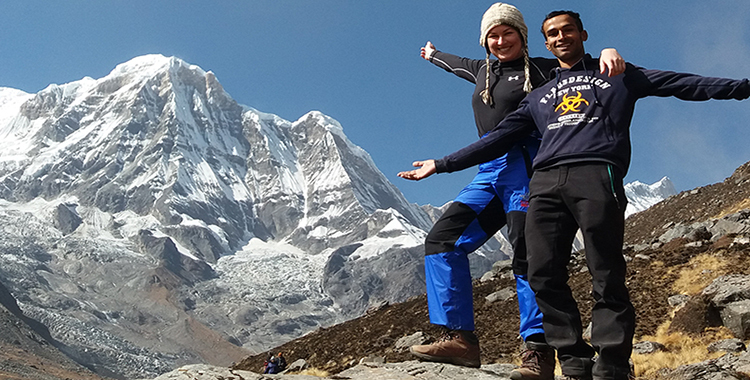 Annapurna Base Camp Trek with Nepal Lion We booked a nine-day ABC-trek with Nepal Lion Treks. Already before and throughout the trek, we felt very comfortable receiving all the necessary information from Shiva (office) and our great guide Binod! Binod spoke sufficient English and had a close eye on our well-being all along the trek. He took care of everything (e.g. food, booking the teahouses, getting blankets, checking on symptoms of altitude sickness) and was fun to have around. So we could concentrate on the main things: Hiking, hiking and hiking ;-). The trek is really awesome and leads you through many different climates and landscapes! If this is your first real trek, you will most likely find it a bit strenuous but you will be rewarded by magnificient views and a great experience. 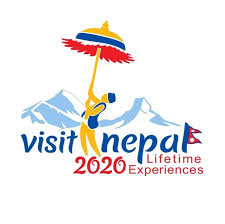 Nepal Lion Tours assists you with personally tailoring the trek to your own needs and schedule and is flexible to adapt and make changes even during the trip. E.g., we decided to spend the last night of the program in Pokhara instead of Kathmandu and Shiva arranged for our additional luggage (which we left at the hotel in Kathmandu) to be brought directly to the Airport so we could directly continue with our onward flight. I would highly recommend a tour operator like Nepal Lion Treks when you are on a limited time budget and don‘t want to have to worry about all the organisational bits and pieces of such a trip! Brekfast,Lunch, dinner and accommodation included.